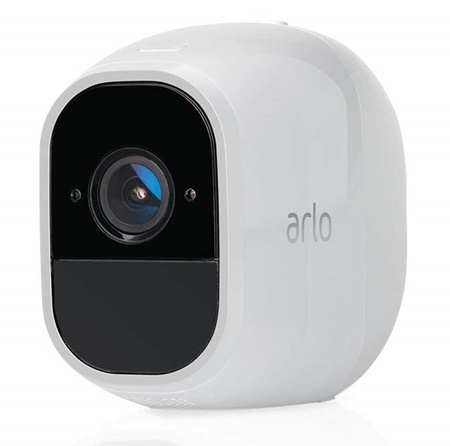 Arlo is great product and lots of people like for monitoring their property, good either indoor or outdoor and is heavy duty weatherproof housing ideal for outdoor placement. Other vendors are competing to introduce similar products including Orbit by Motorola, Argus by Reolink and this one – TP-link Kasa KC200 outdoor wifi camera. We’ll compare TP-link Kasa vs Arlo Pro wifi camera in the next paragraphs. See also comparison Kasa Outdoor vs Ezviz. Many people are satisfied with this new product Kasa KC200 camera introduced by TP-link which is commonly well known in networking products. Customers are mostly satisfied with the product, easy to setup, it’s durable either indoor or outdoor usage, customizable image quality up to 1080p and great magnetic mount for the camera to place firmly. The previous article relating the product has been discussed briefly and the detail’s spec can be read at end of article for spec and manufacturer’s description each of of the product. The following lists the product’s highlights. TP-link Kasa KC200 outdoor camera is tagged with the price around $140 in some retail stores (Nov 2018), can it compete with Arlo Pro which has been around for some time in the market? Most Arlo wifi camera series are designed with wire-free, powered by battery to reduce power clutter and are IP65 rated heavy duty weatherproof housing ideal for outdoor usage. And Kasa is almost the same except that it is not powered by battery like Arlo. You still need to provide power outlet near where you place the camera. Take a look at the following table 1 that represents spec comparison TP-link Kasa vs Arlo Pro to help you easily find the spec differences between the two products. TP-link is likely designing Kasa outdoor camera closely similar specs with Arlo Pro. See that the camera resolution is the same 1080p, the digital zoom and field of view angle are all featuring the same including the night vision range up to 30 ft. 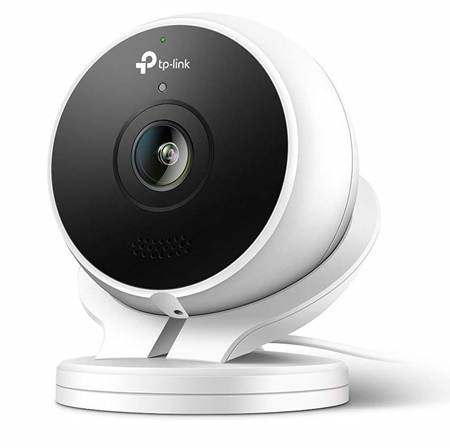 Unlike Arlo which siren is designed built-in with the base station (typically you purchase a bundle with minimum two cameras and base station), each of TP-link Kasa outdoor cameras comes with built-in 80dB siren you can activate it manually when it detects audio or motion detection. Same siren feature as the cameras Ezviz offers, see Ezviz ezguard wifi outdoor camera. The other difference is lying on the built-in wifi adapter to allow the cameras connect to the existing wifi network. Arlo is based on wireless n (802.11n) single 2.4GHz band, while Kasa is based on dual band wireless ac (802.11ac) you can connect to any dual band (2.4GHz or 5GHz) wireless ac router for better data throughput. Arlo connects to its dedicated base station while TP-link Kasa connects universally to any wifi router. actually TP-link introduces TP-link Kasa smart home wifi router that is designed to work with any smart-home things. Both vendors offer free cloud storage you may remotely play the video footage while you are on the go using your mobile devices (Android, iOS). Two days free cloud storage offered by Kasa is enough and even some people find it plenty, while Arlo offers more up to 7 days cloud storage. Both cameras don’t come with local memory storage like normally home wifi cameras like Amcrest ip4m-1051 or Foscam R4. All other features are almost the same including motion and audio detection, built-in speaker and microphone for two way audio communication. Check the following table to help you see the similarities and differences between the two products, the TP-link Kasa vs Arlo Pro. Click each of the product link below for more spec details, manufacturer’s description and current price in Amazon. The good thing with Kasa is that you don’t need to purchase separate base station but you need wifi network in place already that connects to the internet for remote viewing. To support your business, you may have high resolution image quality cameras with NVR system – see Laview vs Reolink vs Lorex 16 channel security camera system or select one of surveillance bundle in Top Five 8 Channel NVR System Kits. You may add one PTZ camera for large area to cover such as Lorex lnz44p12 or Amcrest outdoor PTZ speed dome camera.